Recently two species of carabid beetle were accidentally introduced onto the sub-Antarctic island of South Georgia. Both species are carnivorous and flightless. One of the species, Trechisibus antarcticus, is locally very abundant and in the process of invading the coastal lowland area, where the endemic herbivorous beetle Hydromedion sparsutum (Perimylopidae) is common. Field samples showed the abundance of the endemic species to be much lower, and its adult body size to be larger, in carabid-infested locations than in carabid-free locations. The sample data allowed us to estimate the growth rate of the H. sparsutum larvae and to reconstruct the most likely life-cycle of both species. A laboratory experiment showed a high mortality for the first three (out of six) larval instars of H. sparsutum in groups which had been subjected to predation by T. antarcticus. The duration of the period during which the larvae are vulnerable to predation was shown in a growth experiment to depend on food type. 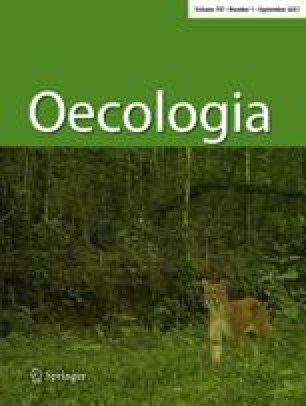 Quantitative and qualitative aspects of the interaction between the introduced predator and the endemic prey, and conditions which allowed the former to invade are discussed.